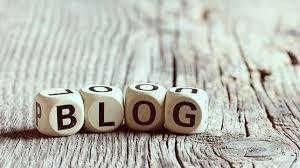 No doubt you are familiar with all the reasons why blogging is such a great idea. Blogs, published to your website, and shared with your clients and potential clients via an electronic marketing campaign and across your social media accounts, will help you build a reputation for yourself as an expert. But that’s not all. Write blogs well enough and you may be able to get one or more of them published in the media. This will expand your audience exponentially and, in the process, help you develop a wider reputation for thought leadership in your target market – and that, ultimately, should be very good for business. But how do you make your blog publishable? To be publishable by the media, blogs should be topical, thought-provoking and tailored to the media outlet’s audience. They should be written in a really engaging way, which reflects your own inimitable style. To help develop your own writing style, one of our first tips is to write about something you are passionate about, many great blogs are inspired by a belief, an opinion or an observation. Although blogs should always be well-written, they are often authored by ordinary people rather than seasoned journalists so they are much less about perfect grammar and punctuation and much more about conveying interesting opinions and strong ideas in a compelling way. People reading your blog are likely to understand that you are not a professional writer, so they are usually (although of course not always!) more forgiving. But knowing all that doesn’t always help you with the physical process of writing a blog, or getting it published by a media outlet, because your core business is your business, it is not the business of writing. To help you get started we have put together the following step-by-step guide. Step 1: Make a statement designed to spark the reader’s interest. It can be a personal observation, a statement about something that has happened to you, or an opinion on a public event that is different from what has already been said. Step 2: Couch the opening statement in line with current events. If you are hoping to interest an editor in your blog, give it newsworthiness by tying it in with a current news story the editor has recently published. Step 3: Explain why you have this point of view. Are you an expert in this field? Do you have personal experience in this area? Show the reader why your opinion matters. Throw your arsenal of content into the blog here and cover off the what, when, where, how and why behind your big idea. Provide examples, make more observations, ask some questions of the reader. These tools all create engagement and are likely to generate reader comments, which every publisher loves. Step 5: Draw some conclusions. Ponder on future developments in your topic, trends that might alter or impact its direction. Make some predictions and leave your reader asking themselves some questions on the issue. Our final tip is an important one – if you do manage to interest a media outlet in your blog, make sure they publish it before you do, let them know if you want to also publish the same blog on your website and if they prefer you not to, don’t. They are likely to have a much bigger audience than you and you can always share their link on your website. 64 Media has developed a template for writing a blog. Email us for your free copy.